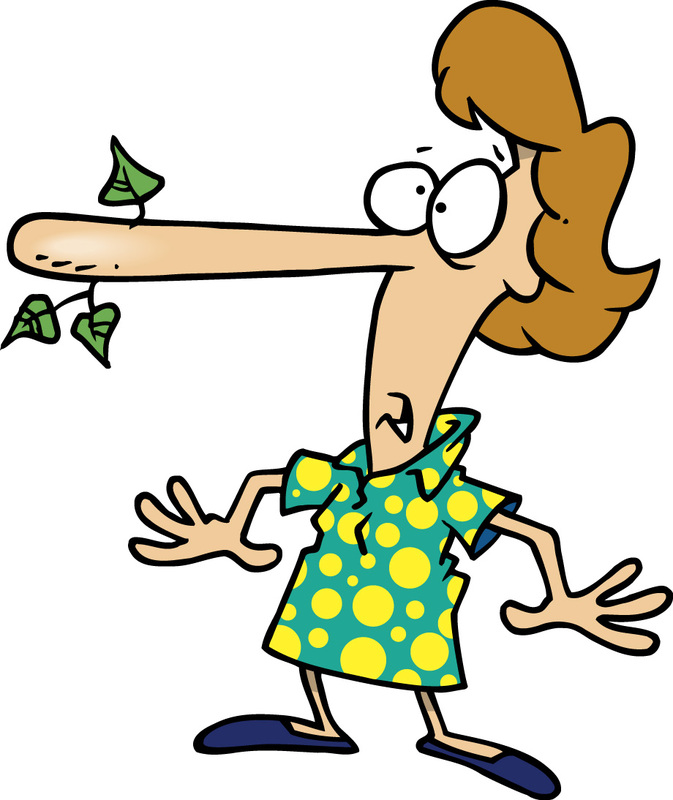 Never tell a lie (else your nose will extend like Pinocchio!). This was and still is a consistent teaching from my mother. But during this vacation, while trying to make my 5 year old niece eat her food, I realized that our childhood is full of lies. Oops! I swallowed a seed! And as innocent we are as children, we believed in them. I don’t remember even once challenging them. Things like don’t eat the seeds of a fruit else you will have a plant growing inside. I still remember on days when I accidently swallowed a seed, I actually used to dream at night that there will be branches and leaves coming out of my ears and nose when I wake up. Or don’t go outside the gate alone; there is a baba on the street who takes away children. The maximum lies were in food items. I used to hate yellow moong dal and love yellow urad dal. To make me eat that moong dal , my mom said it’s chota urad (small urad dal) and after that I ate it.. Despite the fact that I still didn’t like it’s taste, just because it was the smaller version of a dal that I loved I ate it. And this is the lie that I believed in till I went to college and fellow students in the mess told me that there is nothing like a chota urad and that this is moong dal. Then another one that I remember was for arbi (colocasia). She made me eat it saying it was potato! Though I am proud to say they weren’t able to fool us for baingan, lauki, torai, tinda etc (eggplant, bottle gourd, snake gourd etc) :D.
A recent retort by Nandini (my niece) to didi made me realise not only were we innocent, we were also outright stupid :). Nandini: No. I want to eat like this. Didi: You should not eat while lying down. Didi: If you eat while lying down; all the food goes in the donkey’s stomach. 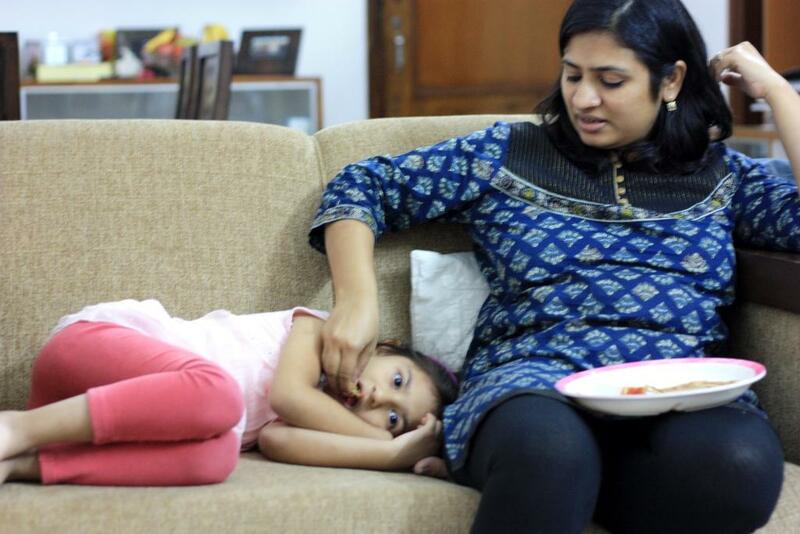 Nandini: It’s okay mama. Even the donkey should get to eat. It’s okay mama even the donkey should get to eat! And then there are the bigger lies of Tooth fairy and Santa Claus. Of course these lies were for our own good. I sort of agree to a fellow blogger’s argument that it’s not lying; it’s parenting! And come to think of it what would childhood have been without the ‘Lion’ who was always hiding behind the sofa ready to leap if you didn’t finish the bite! Hehe. Your neice is adorable! In younger days, we weren’t allowed tea because ‘tea makes u dark’. To this day I don’t drink tea and have never tasted it ! !